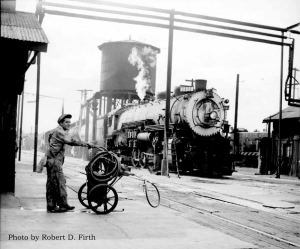 A small, bucolic agricultural town at the edge of the edge San Joaquin Valley, or a smoky, bustling rail terminal connecting Northern California’s largest population and industrial centers with the rest of the country? In essence, Tracy at one time was both — a quiet town surrounded by farms and orchards, growing beans, almonds and other crops, and a hectic connecting point for both passengers and freight travelling on the transcontinental railroad, linking San Francisco, Oakland, San Jose, Martinez, Stockton, Fresno and Sacramento to each other and the eastern United States. 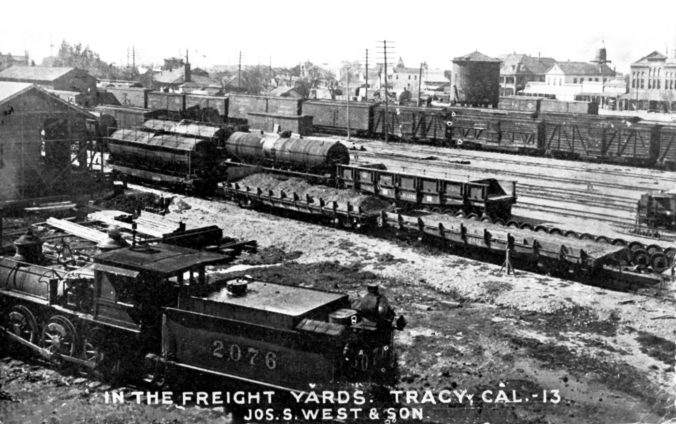 In the early years of the 21st Century, Tracy’s rails were significantly quieter than they were a century (or even a half-century) before. 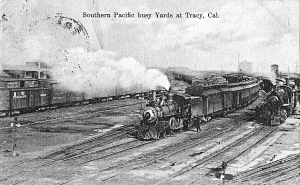 In the late 1950s, the Southern Pacific Railroad tore out most of its Tracy yard, removing two locomotive roundhouses, a roundtable, the old passenger station and freight depot, engine service facilities, freight car repair shops and numerous hulking water towers that served steam locomotives that passed through the yard hundreds of times each week. Most freight car storage was moved to the new railyard on the north side of the Eleventh Street overpass in 1961. 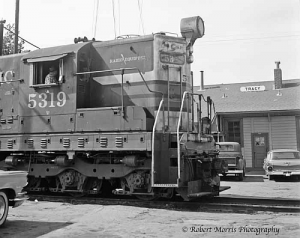 We are grateful to the photographers who documented Tracy and its surrounding towns (including, among others, Lathrop, Manteca, Vernalis, Westley and Patterson), and we thank them for the opportunity to share them with you here. 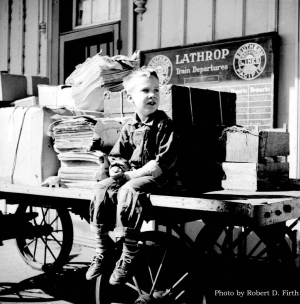 PHOTO (ABOVE RIGHT): Young David Firth awaits the arrival of the next train at Lathrop depot, in a 1954 photograph by his father, Robert D. Firth.